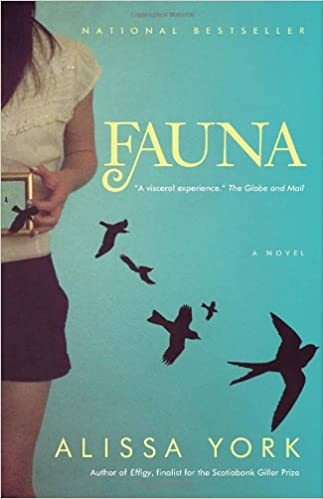 In her highly anticipated new novel, Scotiabank Giller Prize-nominated author Alissa York creates a contemporary human fable that taps into the great tenderness and drama at the heart of the animal world. The wide ravine that bisects the city is home to countless species of urban wildlife, including human waifs and strays. When Edal Jones can't cope with the casual cruelty she encounters in her job as a federal wildlife officer, she finds herself drawn to a beacon of solace nestled in the valley under the unlikely banner of an auto-wrecker's yard. Guy Howell, the handsome proprietor, offers sanctuary to animals and people alike: a half-starved hawk and a brood of orphaned raccoon kits, a young soldier whose spirit failed him during his first tour of duty, a teenage runaway and her massive black dog. Guy is well versed in the delicate workings of damaged beings, and he might just stand a chance at mending Edal's heart. But before love can bloom, the little community must come to terms with a different breed of lost soul - a young man whose brutal backwoods childhood is catching up with him, causing him to persecute the creatures that call the valley home.